From the ax and the wheel to the nuclear reactor and the microchip, great inventions have transformed the way people live. Arranged alphabetically, this encyclopedia describes hundreds of the world's most significant inventions. Its special features include profiles of important inventors and chronological overviews on topics such as agriculture, communication, and transportation. College-level content translated into engaging articles accessible to middle- and high-school students and armchair scientists of all ages. 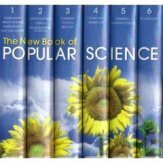 JSS authored volumes on chemistry, biology, and plant & animal life; co-authored and edited volume on astronomy and space science. An encyclopedia of countries, cultures and current events. JSS authored sections on North America, Europe, and Oceania. This page is a archive of recent entries in the Reference Books category. Microbes is the previous category.